Revenue growth increases yet again for Chinese mobile and networking giant. 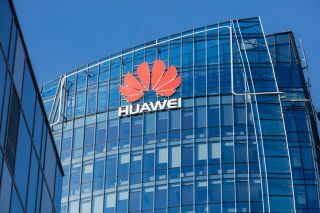 Huawei has cemented its status as one of the world's top technology firms with another set of solid financial results. The Chinese mobile and networking company, which has grown to become the third-largest smartphone manufacturer worldwide, has released its latest results for the first half of the year, showing that revenue growth has continued apace. Overall, Huawei revenues totaled 325.7 billion yuan ($49.05 billion) in the first six months of 2018, up from 283.1 billion yuan a year ago - a 15 per cent increase. The company's year on year revenue growth for the period also came in at 15 per cent, making it the slowest increase over the last four years. Huawei does not release information on its profit figures. Huawei highlighted the major part that its smartphone brands played in helping this growth, with the Huawei and Honor arms of its business expanding their combined market share rapidly over the past few years. The company also noted that it spent 89.7 billion yuan ($13.2 billion) on R&D last year, accounting for 14.9 per cent of its total revenue. Reviewing the results, Huawei said it expected to finish the year in a “strong financial position,” with several major device launches planned, as well as continuing its preparations for the launch of 5G, which it has played a key role in.